What messages do we send to our teenagers in their challenging years? And why do we send such negative messages to teenage girls, and positive messages to teenage boys? 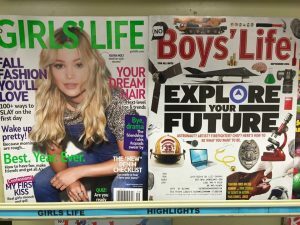 Katherine Young, a 31-year-old graphic designer, was shocked when she first saw two magazine covers next to each other. 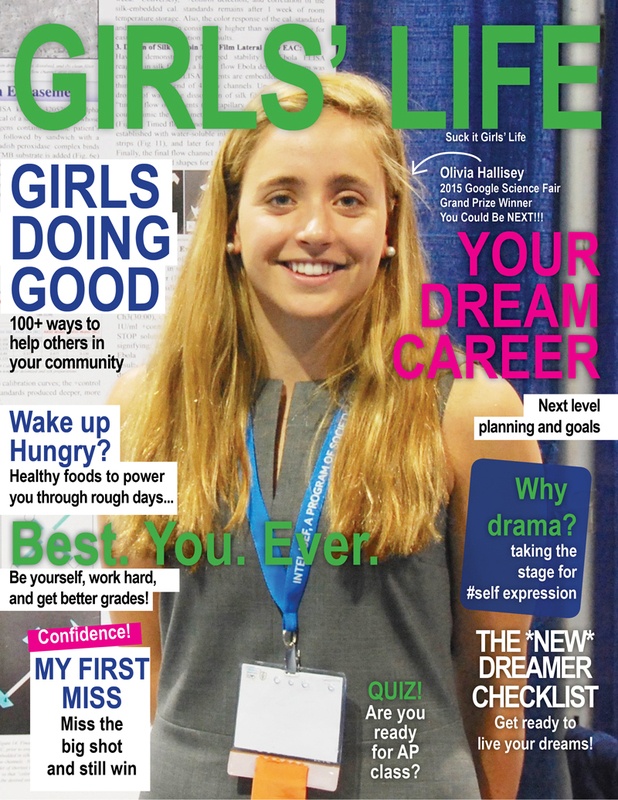 So she decided to “fix” the Girls’ Life cover and create an empowering version that she thought could be just as educational and inspiring for girls as the Boys’ Life cover had been for boys. 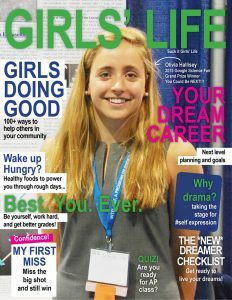 For Young, fighting back against what she saw as the “unattainable standards” set by covers like the one she saw on Girls’ Life was personal. 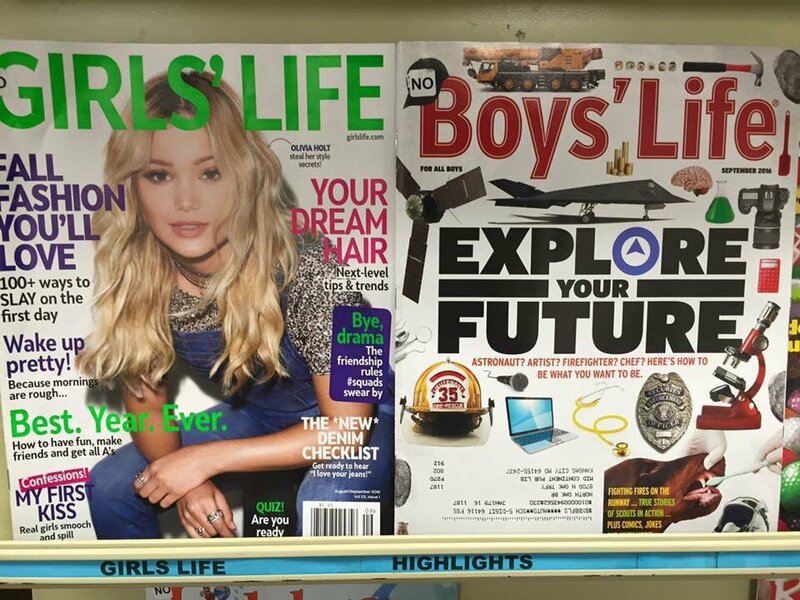 Girls’ Life and Boys’ Life – the real magazine covers.